Welcome to the website of Oldies 97.3, the Dayton Area’s only community oldies station. When we’re not playing the hits of the 50’s, 60’s and 70’s, we’re bringing you live sports broadcasts of the Wayne High School Warriors, live community events, hourly community announcements, and weekly programs such as big band music and Sunday morning church broadcast. WSWO-LP/ Southwest Ohio Public Radio is listed in the Combined Federal Campaign as #57568. Please consider adding us to your charitable list! WSWO-LP / Oldies 97.3FM is a 100% volunteer staffed, non-profit, community radio station. We are listener supported and depend on donations for operational expenses. Please consider a tax deductible, monetary donation to keep the music on the dial and streaming around the world! Use the provided PayPal link for a easy donation to help keep the Music Alive! 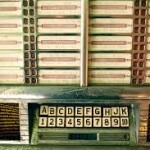 Click any Jukebox at the Side or Bottom of any page to listen on-line. Click the buttons below to download mobile apps for mobile devices. If you are a Facebook user and want to hear the latest updates on Oldies 97.3 Radio, become a fan of WSWO by clicking on this link. We can’t survive without the generous contributions of the community businesses and our listeners. If you wish to donate to Oldies 97.3, click HERE for the Donation Form or donate through PayPal using the link below or on Top of any Web Page. Or CLICK HERE to Donate!